Almost ten years after its premises, the Grid’5000 testbed has become one of the most complete testbed for designing or evaluating large-scale distributed systems. 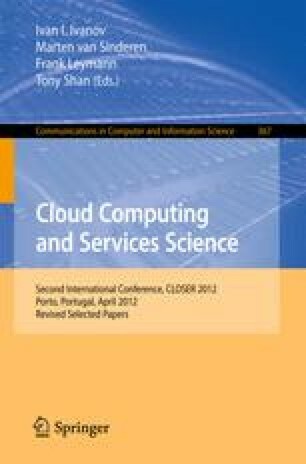 Initially dedicated to the study of High Performance Computing, the infrastructure has evolved to address wider concerns related to Desktop Computing, the Internet of Services and more recently the Cloud Computing paradigm. This paper present recent improvements of the Grid’5000 software and services stack to support large-scale experiments using virtualization technologies as building blocks. Such contributions include the deployment of customized software environments, the reservation of dedicated network domain and the possibility to isolate them from the others, and the automation of experiments with a REST API. We illustrate the interest of these contributions by describing three different use-cases of large-scale experiments on the Grid’5000 testbed. The first one leverages virtual machines to conduct larger experiments spread over 4000 peers. The second one describes the deployment of 10000 KVM instances over 4 Grid’5000 sites. Finally, the last use case introduces a one-click deployment tool to easily deploy major IaaS solutions. The conclusion highlights some important challenges of Grid’5000 related to the use of OpenFlow and to the management of applications dealing with tremendous amount of data. The Grid’5000 experimental testbed and all development actions are supervised and financed by the INRIA ALADDIN framework with support from CNRS, RENATER, and several Universities as well as other funding bodies (see https://www.grid5000.fr). Grid’5000 experiments are partially supported by the INRIA large scale initiative Hemera. The IaaS deployment utility is a particular action developed with the support of the EIT ICT Labs.